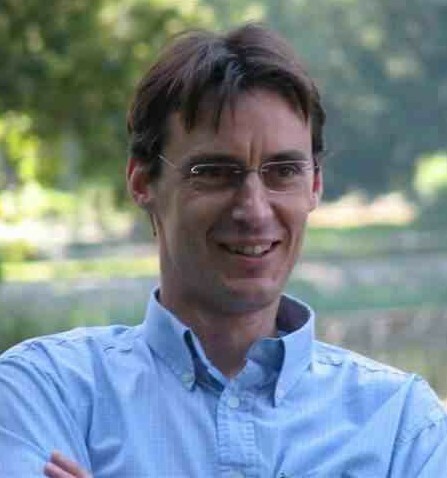 Biography: Vincent D. Blondel is professor of applied mathematics and dean of engineering at the University of Louvain (Belgium). He is affiliated with the Massachusetts Institute of Technology (Cambridge, USA) where he was a visiting professor and Fulbright scholar in 2004-2005 and 2010-2011. In 2012-2013 he was the Distinguished Visiting Professor at the University of California (Santa Barbara). 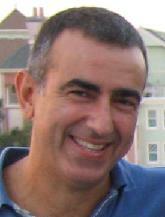 Vincent has directed more than thirty PhD and Master thesis. He is an IEEE Fellow and is the recipient of several international prizes, including the IEEE Ruberti prize and the SIAM prize on control and systems theory. His recent work on networks has been widely featured, including in Wired, Technology Review, Le Monde, La Recherche, Der Spiegel, and The New York Times. Abstract: We describe several recent results on large network analysis with a special emphasis on community detection and on the analysis of mobile phone datasets. In particular, we describe the Louvain method - now used by LinkedIn for its visualization application InMaps - that has sub-quadratic computational complexity and can be routinely used for analyzing networks with billions of nodes or links. We analyze communities obtained on a nationwide dataset of criminal records, as well as on a social network constructed from mobile phone communications in Belgium and in France that span periods covering several months. We also describe applications of mobile phone dataset analysis for a range of applications such as urban planning, traffic optimization, monitoring of development policy, crisis management, and control of epidemics. With these applications in mind we overview results obtained in the "Data for Development" (D4D) challenge organized jointly with the telecom operator Orange on the analysis of mobile phone datasets from an African country and for development purposes. 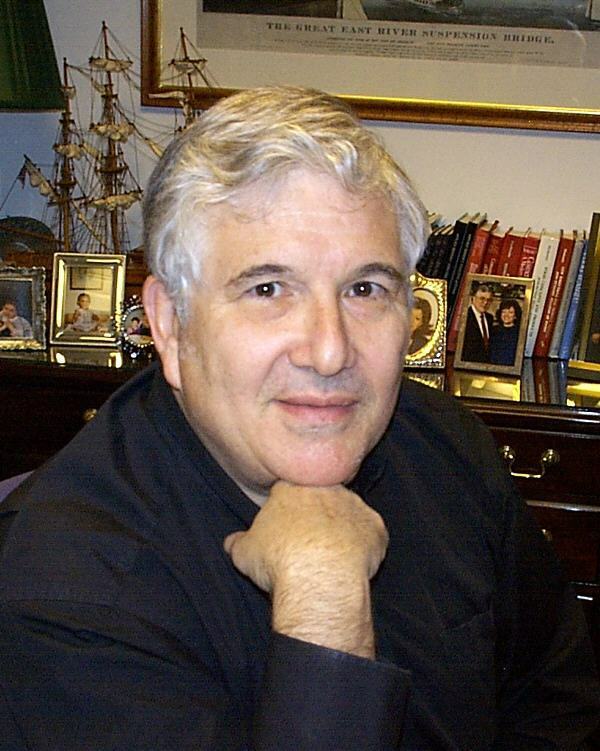 Biography: Howard R. Moskowitz, Ph.D. is co-founder and president of Moskowitz Jacobs, Inc., a strategic marketing research company headquartered in White Plains, New York, USA. The company specializes in the screening and optimization of products, concepts, and package designs at the early stages of innovation and development. He is the winner of Sigma Xi-The Research Society’s 2010 Walston Chubb Innovation Award. He is the co-author of the world-wide best selling book Selling Blue Elephants: How to Make Great Products That People Want Even Before They Know They Want Them (Pearson/Wharton School Publishing). It has been republished and translated in 28 editions. An Integrated Approach to New Product Development (Taylor and Francis/CRC Press) edited by Howard R. Moskowitz, Sam Saguy and Tim Straus, was published in May, 2009. Packaging Research in New Food Product Development (Wiley-Blackwell) written by Howard Moskowitz, Michele Reisner, John Ben Lawlor and Rosires Deliza, was published in September, 2009. Rule Developing Experimentation: A Systematic Approach to Understand & Engineer the Consumer Mind, by Howard Moskowitz and Alex Gofman, was published by Bentham eBooks in 2012. His career guidance book for marketing students and professionals, YOU! What you MUST know to start your career as a professional was published by CreateSpace in May, 2010. The author of over 25 books and several hundred refereed papers, Dr. Moskowitz is a frequent contributor to business and scientific journals on topics of messaging, product optimization, and now the newly emerging area of psychophysics and the law. Abstract: We present a new, data-driven approach to understand the world of the everyday. The organizing principle is that knowledge is developed in a pointillist style, from the intimate, profound, comprehensive understanding of specific topics, be these situations (e.g., eating a breakfast), topics (e.g., ethics and practice of digital piracy), products (e.g., a yogurt), and so forth. Mind Genomics® is best understood as a way to understand what aspects of the topic are important to people, how people different in the way they respondent these aspects of the topic, and how one goes about identifying these different viewpoints for specific topics. Biography: Fulll Professor and Director of the Research Center on "Métodos de Producción de Software (PROS)” at the Universidad Politécnica de Valencia (Spain). He received his Ph.D. in 1992. He was a researcher at HP Labs, Bristol, UK. He has published more than two hundred research papers in conference proceedings, journals and books, received numerous research grants from public institutions and private industry, and been keynote speaker at several conferences and workshops. Chair of the ER Steering Committee, and member of the SC of conferences as CAiSE, ICWE, CIbSE or RCIS, his research activities focus on conceptual modeling, web engineering, requirements engineering, information systems, and model-based software production. He created the object-oriented, formal specification language OASIS and the corresponding software production method OO-METHOD. He led the research and development underlying CARE Technologies that was formed in 1996. CARE Technologies has created an advanced MDA-based Conceptual Model Compiler called IntegraNova, a tool that produces a final software product starting from a conceptual schema that represents system requirements. He is currently leading a multidisciplinary project linking Information Systems and Bioinformatics notions, oriented to designing and implementing tools for Conceptual Modeling-based interpretation of the Human Genome information. Abstract: Everybody accepts that understanding the Human Genome is a big challenge for the humanity. It will take at the very least decades to achieve such a goal reasonably well. But new advances that are showing promising results come continuously. Day after day new data are is provided and new information is derived from them . As DNA sequencing technologies improve and evolve, it is an evidence that the rate of data generation at a local level is increasing dramatically. In this scenario, assuring the interoperability and consistence of data at the global level becomes both a challenge and a need. To face these problems adequately, the most advanced Information Systems design technologies must be used. This principle is in the “Genome” of this keynote. This is the time to design sound Information Systems-based IT infrastructures intended to guarantee that this continuous generation of data is properly managed, covering the needs of better data capture, organization and storage, improved data analysis and interoperability, more efficient data standardisation with the support of foundational ontologies and conceptual models, easy evolution, efficient storage and fruitful data exploitation to meet current and future biomedical and clinical needs. Under the general concept of "Genomic Information Systems (GIS)", the keynote will introduce and explore all the aspects related to that challenge, and Information Systems theory can help to desing and implement effective and efficient solutions.